Seth Walsh, a California teen who spent the last 9 days on life support after attempting suicide over relentless bullying because he was gay, died today. He was 13 years old. Seth’s family took him off life support this afternoon, reports KGET-TV. A memorial service honoring Seth will be held on Friday, October 1, at 3:30 p.m. PDT at The First Baptist Church in his hometown of Tehachapi, CA. Seth was found Sunday, September 19, unconscious and not breathing, and it appeared he had tried to hang himself from a tree branch, according to police reports. He was rushed by helicopter to Kern Medical Center in Bakersfield. According to reports, Seth was openly gay and was taunted by bullies for years, at school and at a local park. He attended Jacobsen Middle School last year and for only two weeks this year, before being transferred to independent study — reportedly because he had been bullied relentlessly. But school officials at Tehachapi Union School District claim there have been no reports of bullying. Police said they can not prosecute the students involved because the teasing was not a criminal act. Judy Walsh, Seth’s grandmother, appealed for tolerance within the community. “We are hoping the community will develop more tolerance for different people,” she said. 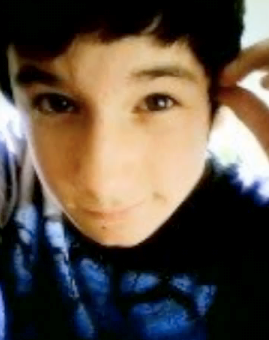 Seth’s death is one of three teen suicides this month due to anti-gay bullying. On September 9, 15-year-old Billy Lucas of Greensburg, IN, hanged himself at his grandmother’s home. Friends of Lucas said that he had been tormented for years based on his perceived sexual orientation. On September 23, 13-year old Asher Brown, a gay teen in Houston, TX, came home from school while his parents were at work. He shot himself in the head after enduring what his mother and stepfather say was constant harassment and bullying.